A robust enterprise eCommerce system needs to handle manual order entries that are sometimes complex. In this OFBiz Tutorial we will go over how this works in OFBiz. An order clerk has to place a sales order on behalf of a customer (order received by fax, by mail, by phone etc..); the order contains several items and the customer asks that the order is shipped with two (or more) shipments with different delivery dates and/or to different postal addresses and/or with different shipment methods or shipping instructions; the customer clearly specify the items to be assigned to each shipment. How can you do this in OFBiz? 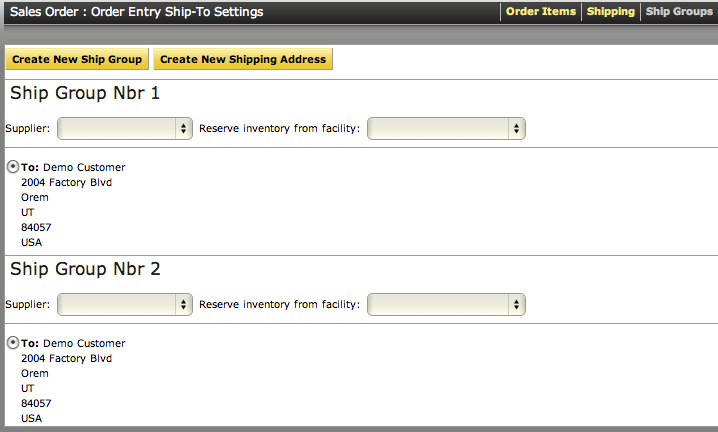 The order clerk can easily place an order like this by defining multiple ship groups: ship groups represent a way to group into different sets the items of an order and each ship group has its own shipping options, delivery dates, shipment address. 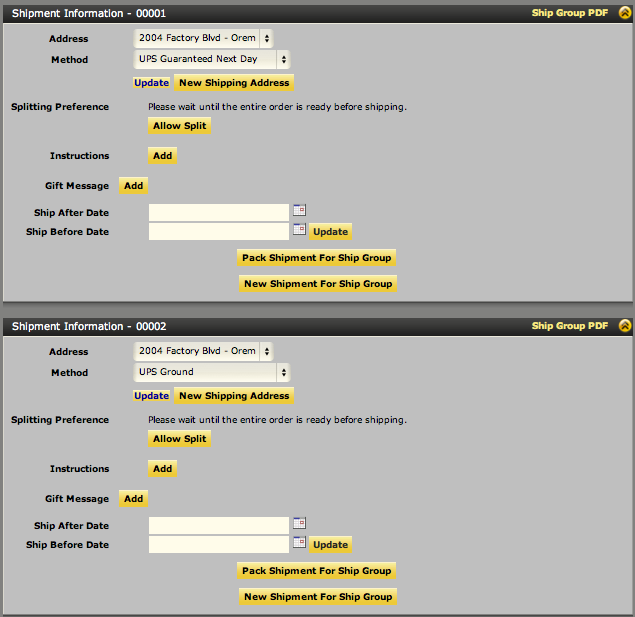 Ship groups are created during order checkout. For example, let’s suppose that the order clerk has to place an order for 10 units of the product with id WG-1111 and 5 units of the product with id GZ-1000. The customer needs immediately 5 units of WG-1111 and prefers to pay for the quickest shipment method available, while all the 5 units of GZ-1000 and the remaining 5 units of WG-1111 (together with some promotional items) can wait and so they will be shipped using a cheaper and slower shipping method later. The next steps are exactly the same as a standard order, so complete the checkout and confirm the order. The exercise is now complete! You can now fulfill the order as usual and the only difference is that you will create two different shipments (one for each ship group): when the shipment is created from the ship group, OFBiz will create a shipment containing the items assigned to that ship group only.